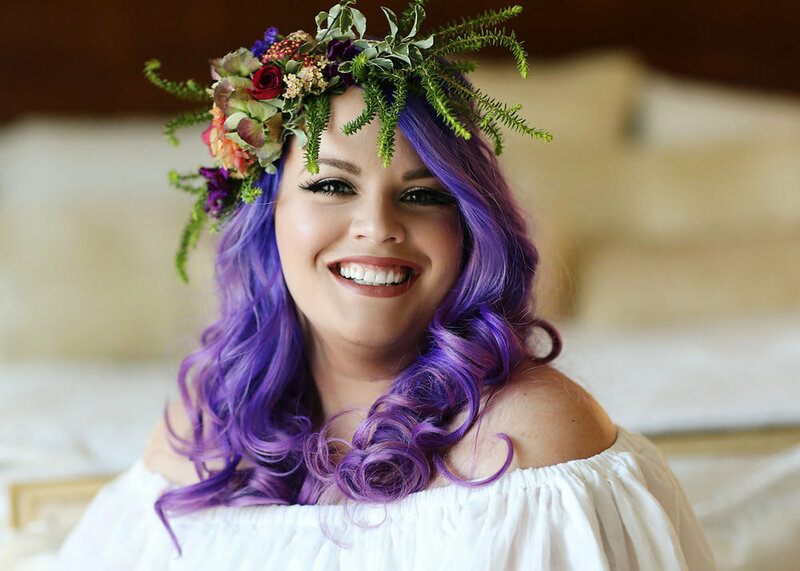 Bohemian Styled Shoot inspired by our brides beautiful Ultra Violet hair color. By pushing the boundaries this Ultra Violet inspired shoot left a unique mark on all the team involved. We hope it inspires you and pushes you to imagine something different.